I am a child of the 60s. I grew up in what was then a sleepy town about an hour and a half from Sydney. Paddocks surrounded our suburban homes, and there was always somewhere to fly a kite, find snake skins, or make forts and cubbies with my friends. Dinner was always meat and three veg. It had been good enough for our parents when they were growing up, and it was good enough for us. We celebrated when Coles New World Supermarket came to town. In our eyes it was HUGE (now about the size of the average Seven Eleven) and it had a rocket out the front, which made it even better. I remember wandering around the aisles, trying to make sense of the huge range of cereals, detergents and tinned food we could now buy. Things that our local corner store had never even heard of, let alone stocked! Dinner out was a rare treat. We would visit the local fish and chip shop on the main street that was run by a traditional Greek family who would sing while they cooked. I can still remember the excited feeling I would get, peeling open the white paper that wrapped the chips and inhaling the warm steamy aroma. The Greeks owned the only fast food restaurant in town, and trade was brisk – especially on Friday nights when the Catholics would go in for a feed of fish. And then a Chinese Restaurant opened. The Wang Dynasty. Most of the locals were initially suspicious of the foreign muck that was served, but the more adventurous tucked into scarlet sauced sweet and sour pork, with huge sweet pineapple chunks served in the meal and not as a dessert. Over time, we learned to pronounce Chicken Chow Mein and giggled as we splattered food everywhere while using our chopsticks on the Fried Rice. The Wang Dynasty became the centre for all important birthday celebrations in the town (other than the Catholic Club and the local RSL of course). It was not a celebration if you weren’t at the Wang Dynasty. Then a pizzeria came to town, with fabulously delicious gelato ice-cream. Then a kebab shop. Then more Asian restaurants and finally … McDonalds! Now imagine for a moment that you could only eat one food style for every meal. Day in. Day out. For the rest of your life. Imagine no Chinese stir fry. No Indian korma. No kebabs, No sushi. No pasta. No croissants. The lack of diversity would make life amazingly boring! Diversity of the food we now take for granted comes from having a diverse population. Diversity is the harbinger of creativity. In recent years there has been a focus in creativity research around the benefits of having an ethnically diverse group of people as part of brainstorming processes. Studies show that diverse brainstorming groups come up with more creative ideas, better solutions and deliver greater team performance. Homogenous groups, consisting of white, heterosexual, middle class, Anglo-Saxon males tended to generate “same old – same old” solutions. If you to tackle tough issues, choose more diverse groups to find solutions. Having a diverse workforce, where people are valued for their ideas and their uniqueness helps generate a richer, more interesting workplace, delivers more sustainable outcomes and makes the best use of the talent that exists within our population. 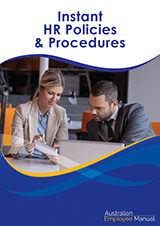 The same goes for decision making bodies such as Boards of Directors and governments. Diversity allows for a greater exploration of issues and ideas, risk identification and the development of innovative solutions. Australia is one of the most diverse countries on the planet. From the traditional owners of the land, to all the migrants that followed, Australia has become home to people from over 200 communities across the world. According to the ABS, over 45% of all Australians were born overseas, or had at least one parent born overseas. There are over 300 languages spoken in Australian homes other than English, including Mandarin, Italian, Arabic, Cantonese, Greek, Vietnamese, Tagalog/Filipino, Spanish and Hindu. There are over 60 indigenous languages spoken in Australia. It is through this diversity comes our strength. Australia used to have a strong reputation for being a tolerant, welcoming and diverse society. We were seen on the international stage as being a country that believed in a fair go all around, and as someone that stuck up for the little guy. We hated tall poppies and bullies with a passion, and would always look after our mate. Perhaps on National Harmony Day on the 21st March (which also falls on the UN International Day for the Elimination of Racial Discrimination) it is time that we took another look at the benefits of diversity and rediscover our compassion and our ability to welcome others who are not the same as us. This week, look carefully at what you eat. If you are enjoying a diversity of foods, then thank your parents and our grandparents for encouraging a diversity of people to come to Australia. They have enriched your life through their compassion and generous hearts. 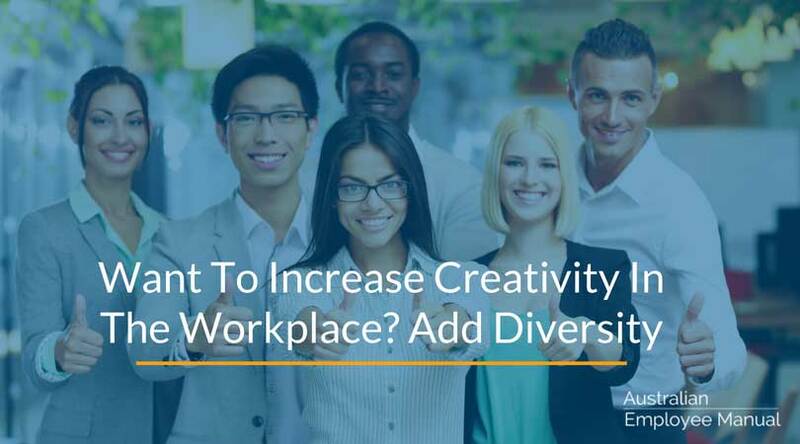 If you want to increase creativity in the workplace, it’s time to increase diversity. One last thought. In the words of Father Rod Bower, one of Australia’s leading social thinkers – When did decency and compassion become extreme?